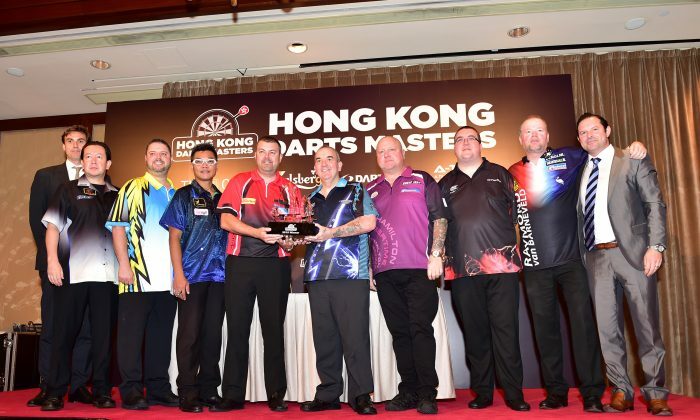 Five top international darts players have arrived in Hong Kong to contest, together with three local players, the Ironmonger Hong Kong Darts Masters 2015 to take place at the Hong Kong Observation wheel venue, Central Hong Kong, on Friday and Saturday evenings September 4 and 5. The players include ace of the sport, Phil Taylor, and four other players in, or near, the top 20 on the Professional Darts Corporation (PDC) Order of Merit. 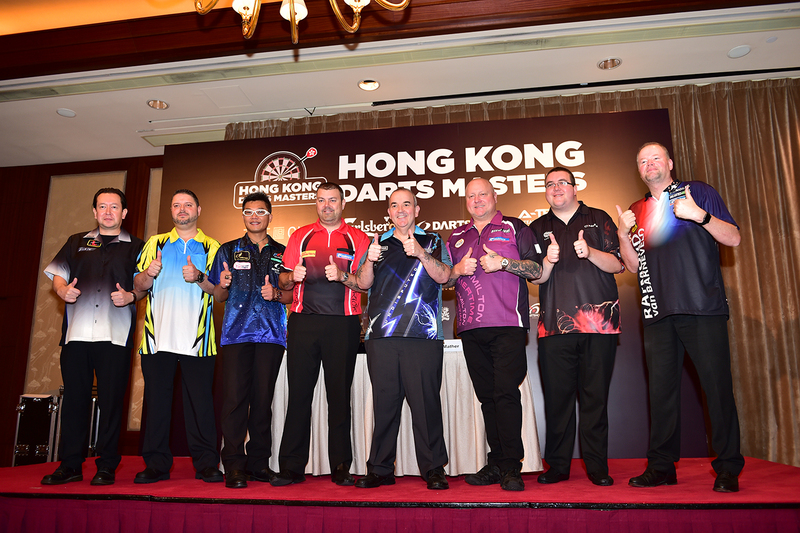 The draw for the event took place at the Conrad Hotel, Pacific Place, Hong Kong on Wednesday September 2 with all 8 players present. The event will feature quarter final matches between Phil Taylor and Wes Newton, Andy Hamilton and Royden Lam, Stephen Bunting and Isen Veljic and, Raymond Van Barneveld and Scott Mackenzie on Friday September 4. Whilst all of the contestants are of world standard, the key player to beat will be No.1 seed, Phil Taylor who is a legend in the darts world having won 14 BDC and 2 BDO world titles since 1990. He missed out to Gary Andersen in this year’s BDC World Championship losing 7-6 in the final. Raymond Van Barneveld is also a top prospect having won 4 BDO and 2 BDC World Championships but even he is seeded No. 4 with Andy Hamilton and Stephen Bunting seeded ahead of him. 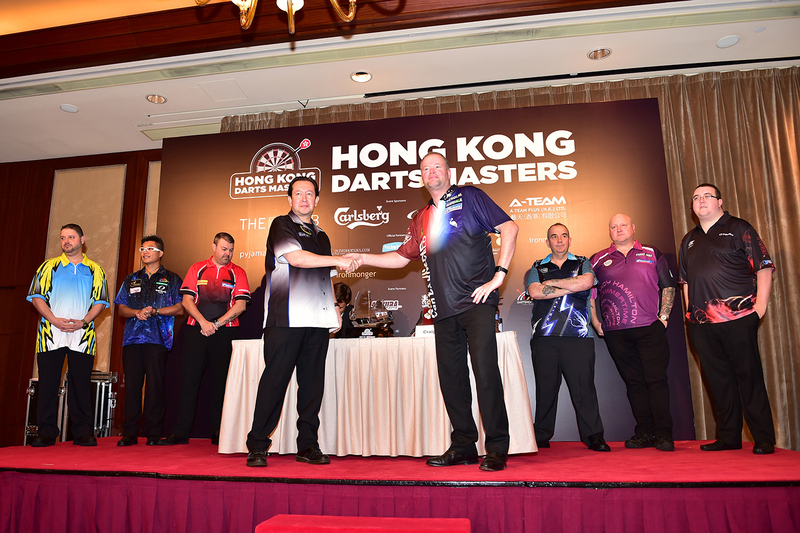 The matches between the UK Internationals and the local Hong Kong players: Andy Hamilton vs Royden Lam, Stephen Bunting vs Isen Veljic and Raymond Van Barneveld vs Scott Mackenzie will show how Hong Kong players matches up to that of top internationals. However, the Hong Kong trio are not strangers to international competition and are expected to put in strong performances. Quarter Final matches will be best of 15 legs (first to 8), the Semi-finals will be best of 19 (first to 10) and the Final will be best of 21 (first to 11 legs). 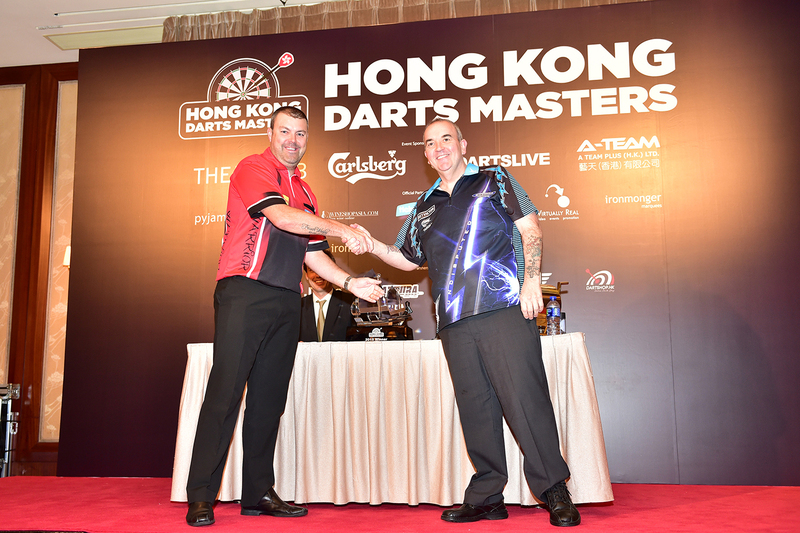 For many of the internationals it is their first time to visit Hong Kong and they are enjoying the new experience but as Phil Taylor noted that they are rather busy and only here for a short time and when I come here “it is my job, so I don’t really go sightseeing”. Asked what keeps him at a consistently high level after such a long career: “It’s what motivates you, it’s the fear of getting beaten”. He explained that he is always striving to improve his game whether it ‘s footwear or darts …. and says he is still improving or at least staying at the same level. He also says his still enjoys the game and his physical condition is still good. “My long distance [sight] is brilliant, I can read tiny little letters but I have to read the paper from some distance, so I have reading glasses….I’m fit and the arm is still good” he concluded.